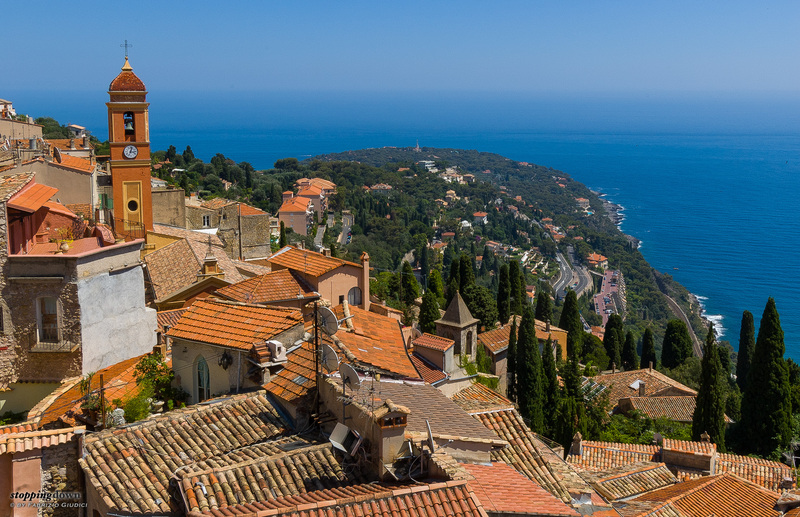 You wouldn't bet on it, but you can enjoy Côte d'Azur even in summer. Yes, there's a lot of people at the beach and crowds of tourists in well-known, “can't miss” places - but you just have to wander off route; and you could find yourself in an old village perché, resting under the shadow of the trees in a tiny, lovely square. The air smells of onion soup and provençal herbs. Around you just a handful of persons waiting for the ticket counter of a Xth century fortress to open. People like you, who enjoy the experience in total silence - the only thing you can hear is a swarm of swifts, chirping their high-pitched calls and circling in the incredibly blue sky above your head. Inside the fortress you are rewarded with a breath-taking view: a red sea of roofs diving into the deep blue sea of the French Riviera. 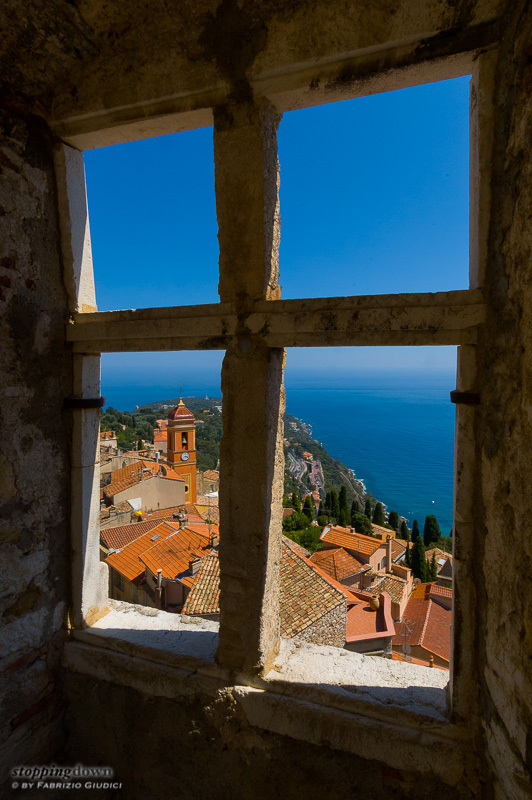 Yes, it can happen even in summer, in Côte d'Azur, at Roquebrune-Cap-Martin.